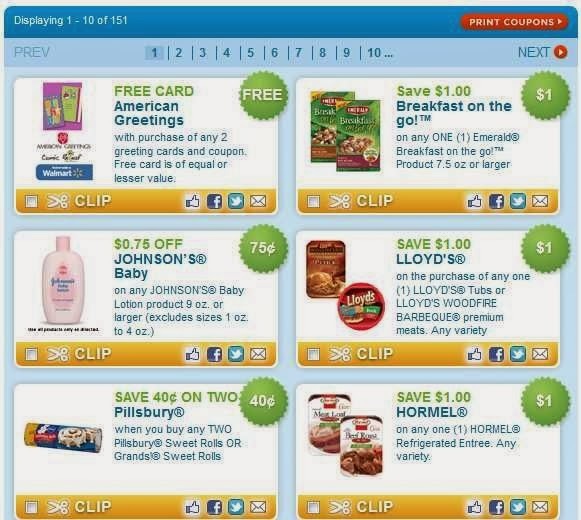 Yesterday I listed my top four favorite coupon blogs. Which are awesome and resources I use every week. But there are other ways to save too, that don't include coupons. I know many people are not fans of coupon use for a variety of reasons. To each her own, right? So this post touches on a few of my favorite coupon-free tips. GET A SECOND FREEZER is my absolute top tip to save money! Even if you never clip a single coupon, the investment will pay for itself the first year. I wrote get instead of buy because you can often find them on Craigslist or from a neighbor moving. I purchased mine years ago (it's a small chest freezer) on sale at Home Depot. Meat. Meat is one of the most expensive things in the grocery store. And while I certainly have days without eating any meat, in general, I eat it fairly often. If you have a family, the need only increases. But so does the price. But every grocery store has a few really rock bottom sales each year on almost every variety of meat. When those sales happen, even if you don't have a single coupon to use, the prices are at their very lowest for the year. If you have a second freezer, you are able to buy extra and freezer for later use. At Thanksgiving, I always buy at least one extra turkey to cook in the spring or summer because the prices are so low in November. At Easter, I try to remember to buy an extra ham to cook later too. If my store has a random chicken sale, I stock up (when I have freezer space). Ditto on lunch meats. I don't buy them often but when I do, I freeze portions because I am picky about lunch meat staying fresh. Vegetables. We all use frozen veggies, right? I assume everyone uses them. Well the same happens with meat- they are of course on sale regularly. My freezer space above my refrigerator is very limited. But with a second freezer, I am always able to have a stack of frozen veggies ready to use any time. I also freeze my extra veggies from my summer garden. I could not do that, due to space, without a second freezer. Dairy. Did you know you can freeze milk? You can! Just be sure to pour out about a cup of milk first, as the container needs space for the frozen liquid to expand. But don't stop at milk. You can freeze with great success cheese, coffee creamer and of course, ice cream. Freezer Meals. Not only do freezer meals save you time in the long run, but they also save you money. It's less expensive to eat at home, you are feeding your family whole foods on a budget, and having them in the freezer makes you less tempted to eat out. Bread. Bread freezes great. Your favorite brands, including gluten free, and homemade breads all freeze wonderfully. Simply defrost on the counter before using. MEAL PLAN. I try to plan my meals out (I just plan dinners typically) two weeks at a time. Even if I don't adhere to it exactly (which is what happens most weeks), it still saves me both time and money. First, it encourages me to cook once and use for several meals. So if say I roast a chicken on a Tuesday, I will make enchiladas using leftovers on Thursday and soup on Friday. Three different meals that don't at all taste the same but use the same protein so there's no waste. Second, I then ensure that I have everything I need for two week's worth of dinners at the start of that two week period. Again, even if I skip a planned meal because I eat out with friends, I know I have the ingredients on hand anyway. It's especially helpful during these crazy winter storms! Third, I am also less tempted to pick up food to eat instead of making it at home when I have a plan and purchased ingredients. And fourth, it's not only less expensive to eat dinner at home, the leftovers make for free but delicious lunches. STOCK YOUR PANTRY. Even if I have the ingredients and a plan in place, there are always nights when I am tired (or..ahem...lazy) and decide to go rogue. I always have pasta, sauce (homemade from my garden thankyouverymuch), meat in the freezer (leftover turkey kicks pasta or eggs up a notch), eggs in the fridge, etc. I don't eat many canned foods (simply personal preference) but I always have a can or two of clams or crab or artichoke hearts to add to dishes in the pantry. Now even if you purchase these items not on sale, which is silly but let's just pretend, many of these tend to be lesser expensive items. However, if you don't have them in your pantry and "just run in quickly" to the grocery store to pick them up, you are a likely to pick up a lot more than simply one box of pasta and one jar of sauce. But really, if you use sales plus coupons, you can get a lot of these basics for free or nearly free pretty regularly. FREEZE THE EXTRAS. As I said, about twice a year I will roast a large turkey. I'm not married and I have no children. So I hope it's obvious that I don't eat that turkey all at one time and all by myself. I eat it for one or two meals and then that's it. I take the time to pick apart the meat, bag it up, clearly label it, and freeze it for later use. Ditto on chicken or turkey stock. And rice (a HUGE time saver and extra super awesome when you suddenly don't feel well). I could go on and on but you get the idea. Cook once, eat several times is my motto. Cook two bags of rice at one time and then use it for months. Why make extra effort for yourself?! And if you get into this habit, you are more likely to plan meals to eat at home instead of going out. It all circles back, my friends! COOK YOUR OWN MEALS. I know this sounds obvious but you would be surprised how it just doesn't occur to people how much is wasted eating out. This isn't to say you shouldn't go out to eat. But if you are trying to spend less (be it to meet basic needs or save for a trip or house or to have more to spend on pretty shoes), this should top your list of things to do first. Even if you only shop at Trader Joes, it is almost always less expensive to eat the equivalent meal prepared by you at home. BE BRAND FLEXIBLE. Before I started couponing, I would only buy Tide. For no real reason to be honest. I never thought about it really. I have sensitive skin and assumed it was the best. Did you know that Tide is the most expensive laundry detergent out there? And the sales are never as good as other brands. The coupons are lesser too. So I tried a bottle of Shout and a bottle of ALL. Eventually I tried Purex Free too. Guess what? I like all of them just as much as I like Tide. Arm & Hammer is great too. I honestly found zero difference. So guess what I buy now? I buy Whateversonsale. It's my favorite brand! The Target brand (Up) equivalent to Advil...which you can often get for $0.50 or less for the bottle...is just as effective as Advil. True story. While I prefer solid white paper towels, designs aren't going to kill me now and then. This doesn't mean I don't have my favorite brands. Nor does it mean I don't have a few products that I refuse to budge on...even if I pay significantly more than the competitor product. We all have those things. But once in a while, it's worth a try to find out you do in fact love another conditioner just as much as your normal brand. BUY ON SALE. This sort of ties in all of the above. But some people might not be aware that sales, for everything, are done in cycles. Something like turkeys and hams are done once or twice a year. That's it if you are looking for the rock bottom prices. Other things like make-up, peanut butter (and just about every other non-fresh food in the grocery store), and laundry detergent go on sale every 6-12 weeks. Some products are seasonal. Fresh fruits and veggies are least expensive when locally in season. Sunscreen goes on sale in the summer. Cold medicine in the winter. This is a good time of year to buy tissues for almost nothing because hello...cold and flu season. Pay attention to sale cycles. If you just missed a big sale on eggs or pasta, make a note of when your store puts them back on that same sale. Count the weeks in between. My guess is it will be about six weeks for staple-type items. So when it next goes on sale, buy what you will need for six weeks. Will you use two jars of peanut butter in that time period? Do you normally just buy one jar at a time? Boom...your first foray into savings right there if you pick up the second jar! It's less rocket science and more just paying attention to what you use and need. DON'T BUY WHAT YOU DON'T USE. When I first started couponing, I often bought items that I didn't even like simply because they were "free." But I put that word in quotes because unless it's food, I still had to pay tax on the shelf price of the items. And while small, if the point is to save and I won't use the item, I really just made an unplanned donation to the government. I often share that in those early days, I found a deal to get air fresheners for free. But as noted, I of course had to pay tax on them. Yes, tax was small. Under a buck for the four cans. But I loathe air freshener. So that was a totally dumb purchase. My exception to this rule are donations. And yes, I did donate the air freshener. But as I don't consider that a life staple, I no longer make those purchases when free. But I will always buy food (of any variety) when I can get it for free or cheap. Hunger is such a huge issue and I don't think those cases are the time to discuss the health merits of Pop Tarts if I can score a box randomly for free. Also on this list are diapers, wipes and baby formula. No baby should have to suffer for lack of funds. Period. Feminine hygiene products and medicine are also on my buy when free to donate list. I feel passionately about those few items. But beyond that, if it's not a product I want to use (not can use, but want to and plan to use) or not on my short donate list, I simply don't buy it. Free isn't free when you have to pay tax or have to find space to store something you don't want but brought home anyway. So those are my tips to saving even without using coupons. I hope a few encourage those interested in saving this year. And if you have any tips that I didn't include on ways to save without using coupons, please add them to the comments. I love learning new ideas to spend more wisely! Less at the grocery store means more for the Lilly sale! Love it! And very timely for me as I am having to meal plan now. We have a full size standing freezer in the garage and I love that thing! I buy meat in bulk and freeze. Mostly from Costco, but for chicken. I can always get chicken cheaper at the grocery when on sale (which is often). I used to coupon but don't have time now. But I do still shop sales and am not so brand specific anymore. Great tips, tt kk! These are great tips. I do my best to stock on certain things when they are on sale within reason. I don't get these super couponers that use the coupons and buy more than they could possibly ever use.